Design requirements in social media marketing is limited, however any business or personal brand will be ignoring it at its own peril. Though designing is an integral part of brand establishment and brand communication – online or offline, a social media marketer needs to extrapolate the design elements in his social media effort to keep the communication seamless. Don’t take my word for it. See for this detailed infographic to understand the importance and impact of design. An image speaks a thousand words! This is especially true when there is humongous amounts of messages being churned out every hour online. How can you push your message in front of the right audience? A well designed message helps it to stand out! How many times have you stopped while scrolling the newsfeed, just to check out what that well designed quote or attention grabbing headline meant? The audience today is impatient as they are used to finding instant answers! A poorly designed message will not be seen twice, hence special attention to the way the message is communicated is essential. Communicating a message visually – through post images, infographics, videos etc. tends to help connect with the audience faster. A well designed message that is consistent is something that will be remembered by the audience. The typical red color and the common pop is the signature of Coca-cola! These elements help build brand recall for Coca-Cola. Similarly, if someone visits your website or facebook page and sees a well-maintained page, with clean design and to the point communication, you are helping build a brand recall with them. The audience over time will associate the voice and colors with your brand. Instead of just typing out your powerful quote, if it is placed in a well-designed image, it has more chances of going viral and grabbing the attention of the right audience. The other thing that we need to keep in mind is the use of real – estate on the page. When you add an image that is designed for a particular platform, you are making the most of that real-estate space by giving a professional look to your page and ensuring that no message is lost in image edits. Always create your images according to the sizing and placement requirement of the platform. As a social media marketer, I don’t claim to be a great designer, but I also know the importance of good design. Similarly, though as a business you might know the importance of design, it might not be possible to afford an in-house designer or there might not be enough time to connect with a freelance designer. 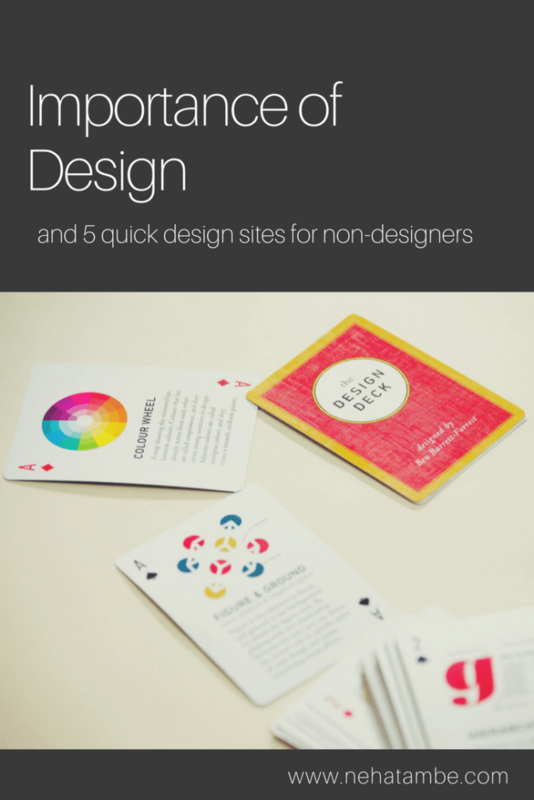 In such situations, I have always relied on a few design tools that have made my life easy. Here are a few tools that I have collated. These tools come in handy for the busy solo entrepreneur or personal brand to create some eye-catching designs without breaking into a sweat. Adobe Spark is a web application that is similar to Canva. It has a free offering which lets you design based on the platform that you wish to publish. They also have an option of creating video and voice presentations and this can come in handy for presentations or online videos. Pic Monkey is a photo editing app. It can also help you create logos, facebook images, wedding invites, collages etc. It works well when it comes to editing the images for any design preps. The flexibility in terms of overall design is something that I found limiting in this app. But if your work mostly deals with images, then this could be a handy tool for you. Pablo is an offering by Buffer and if you are using buffer for scheduling your posts, then this works well for you. It has the basic designing and editing options where you can choose from around 600K free images or upload your own and add text on it. The final image can then be added in buffer for scheduling or can be posted directly to Facebook, Twitter or Pinterest. While this is great for quick edits, if you are looking for more flexibility in terms of layouts or addition of illustrations or graphics, then it might not suit your requirement. This is a new find and I am loving it! It comes with flexibility that is similar to Canva and it has all the design sizes that are relevant to all kinds of online image requirement. This helps in creating great images without worrying about sizes. It also offers templates to choose from or you could create a graphic from scratch. They have few designs locked, which I guess is available for paid versions, but the free version too offers you enough to create decent images to start with. 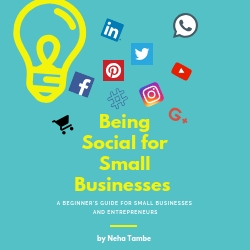 As a small business or personal brand, to keep an eye on the design elements that goes on your social media platforms can be difficult. Try and set a few guidelines and see if your designs follow them. After all these platforms are nothing but mediums to bring your imagination to fore, so make the most of them. Totally agree with you. Visual information is more catchy amd appealing.However, I have tried only Canva and I guess it is good enough for all begineer blogger needs. Your posts are a world of insights. Have used none of them. Time I took designing seriously. Didn’t realize the impact of videos would be this high in percentage… Should consider adding it to the blog in the coming days. I primarily use Canva..tried picmonkey 14 day trial but didn’t renew it. I agree..good graphics do make a difference. I use canva and pic monkey a lot but never tried others. I will try them too.